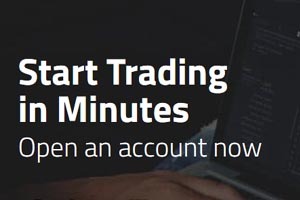 At InstaForex [read review] there is a weekly call-or-put binary options contest that is great for beginners. It's called the One Million Option. It's free to enter and has some great cash prizes. In order to qualify, you have to be at least 18 years of age. Not only that, but you will also have to be registered on the platform, which it is very easy to do. It only takes a few minutes to register in order to try your luck on the One Million Option tournament. The weekly prize pool consists of $1,500.00, which will be distributed among the top winners. The first prize will take home $500.00, but do not worry if you end up getting fifth place, as that individual is going to take $100.00! These prizes are awarded as binary bonuses and cannot be withdrawn, but can be used to trade and make real profits. Since this is a weekly contest that offers options trading cash prizes for more than one person, your chance of winning augments. So go ahead . . . try to become the next winner! The next competition is going to take place on December 11, 2017, that is given a lot to talk about: One Million Option by InstaForex [read review] Group.